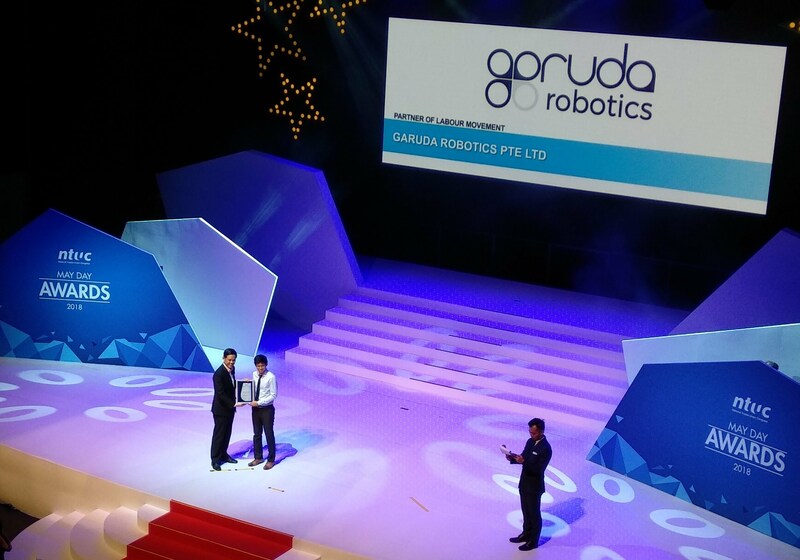 Nominated by the Employment and Employability Institute (e2i), Garuda Robotics has been conferred the “Partner of Labour Movement” award by National Trade Union Congress (NTUC) during the May Day Awards 2018 held on 5 May 2018. Together with 140 other award recipients, we are pleased to be recognised as the top individuals and organisations for their outstanding contributions in making a difference to the lives of working people in Singapore, in a grant ceremony hosted by the NTUC President Mary Liew and NTUC Secretary-General Chan Chun Sing. As a leading professional drones and unmanned aerial vehicle robotics technology developer, we has been training commercial-ready UAV pilots, commonly known as professional drone pilots under our training arm, whom subsequently devote their skillsets to various industries such as construction, land-surveying, media production, government agencies, urban planning, etc. Drawing on our extensive operational experience in commercial drone operations, our instructors impart the theory, practical skills and mindsets necessary to succeed as a professional drone pilot through Professional Multirotor Pilot Course (P01). Both courses aim to equip trainees with in-depth knowledges and practical skillsets with commercial-grade drones, undergoing the entire process of industry workflow (e.g. drone data capture, data process, data analysis and data reporting) under supervision by experienced professionals. For more information on how you can be a part of future economy with unmanned aerial robotics technology, feel free to visit Garuda Robotics Academy for more details.